Having only previously released a short demo, today IO is eager to debut Grecian black metal band Ithaqua‘s new two song 7-inch EP, The Black Mass Sabbath Pulse. For those inquiring minds that wish to know, an Ithaqua is the H.P. Lovecraft version of an arctic Big Foot, crushing everyone that comes into its path. 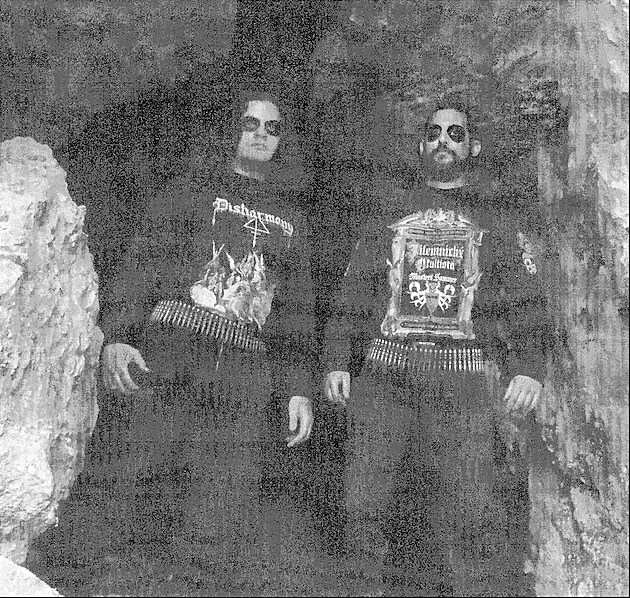 Coincidentally, the extreme riffs on this EP’s two tracks also crush everyone that comes into contact with them, not unlike the songs of other death metal acts Rotting Christ and Necromantia. Head below to listen to both songs that will be officially released this Saturday, April 30.